Peanuts (Arachis hypogaea), also known as groundnuts or goobers, are an annual leguminous herb native to South America. The peanut peduncle, or peg (the stalk that holds the flower), elongates after flower fertilization and bends down into the ground, where the peanut seed matures. Peanuts have a growing period of approximately 5 months. Seeding typically occurs mid-April to mid-May, and harvesting during August in the United States. Light, sandy loam soils are preferred for peanut production. Moderate rainfall of between 51 and 102 centimeters (cm) (20 and 40 inches [in.]) annually is also necessary. The leading peanut producing states are Georgia, Alabama, North Carolina, Texas, Virginia, Florida, and Oklahoma. 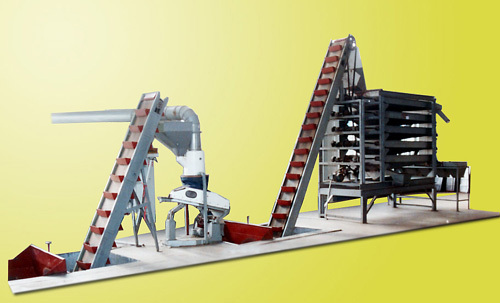 The initial step in processing is peanut harvesting, which typically begins with the mowing of mature peanut plants. 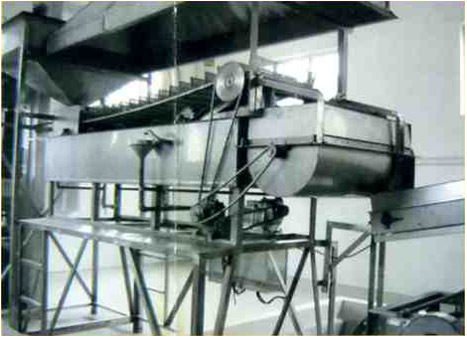 Then the peanut plants are inverted by specialized machines, peanut inverters( peanut harvester ), that dig, shake, and place the peanut plants, with the peanut pods on top, into windrows for field curing. 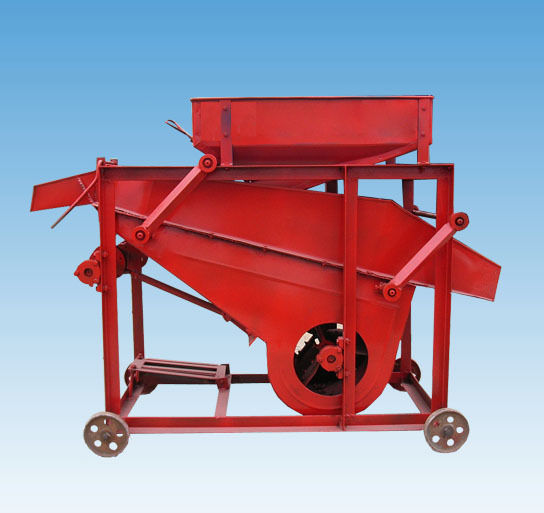 After open-air drying, mature peanuts are picked up from the windrow with combines that separate the peanut pods from the plant using various thrashing operations by Peanut Picker. The peanut plants are deposited back onto the fields and the pods are accumulated in hoppers. Some combines dig and separate the vines and stems from the peanut pods in 1 step, and peanuts harvested by this method are cured in storage. Some small producers still use traditional harvesting methods, plowing the plants from the ground and manually stacking them for field curing. 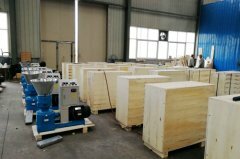 Harvesting is normally followed by mechanical drying. 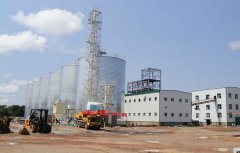 Moisture in peanuts is usually kept below 12 percent, to prevent aflatoxin molds from growing. This low moisture content is difficult to achieve under field conditions without overdrying vines and stems, which reduces combine efficiency (less foreign material is separated from the pods). 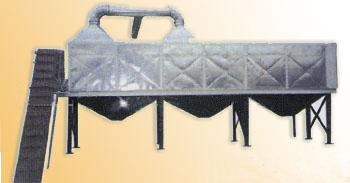 On-farm dryers usually consist of either storage trailers with air channels along the floor or storage bins with air vents. 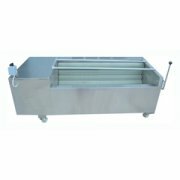 Fans blow heated air (approximately 35°C [95°F]) through the air channels and up through the peanuts. Peanuts are dried to moistures of roughly 7 to 10 percent. Local peanut mills take peanuts from the farm to be further cured (if necessary), cleaned, stored, and processed for various uses (oil production, roasting, peanut butter production, etc.). 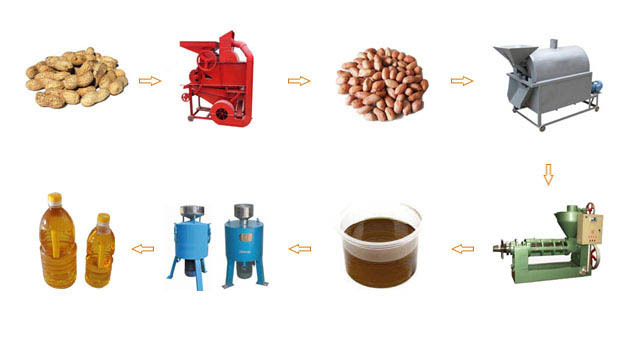 Major process steps include processing peanuts for in-shell consumption and shelling peanuts for other uses. After harvesting, some peanuts are processed for in-shell roasting. 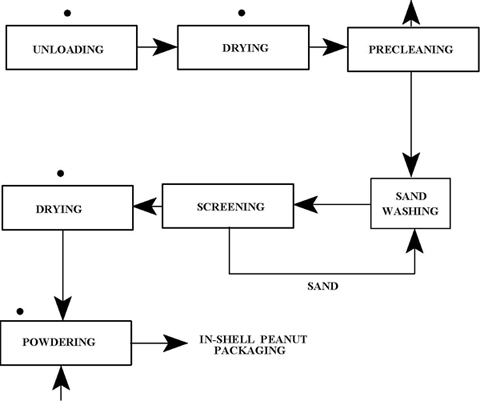 presents a typical flow diagram for in-shell peanut processing. 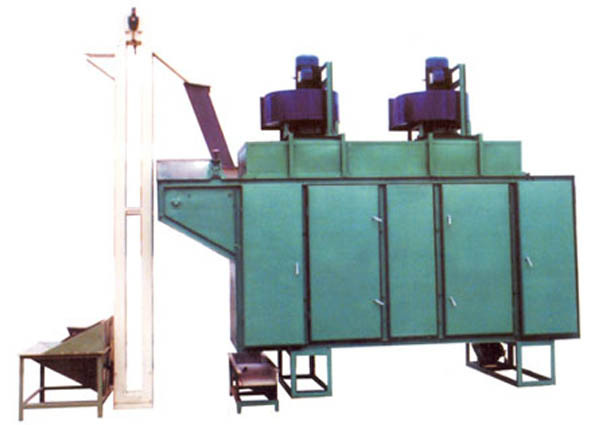 Processing begins with separating foreign material (primarily soil, vines, stems, and leaves) from the peanut pods using a series of screens and blowers. The pods are then washed in wet, coarse sand that removes stains and discoloration. 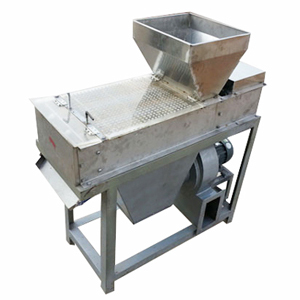 The sand is then screened from the peanuts for reuse. The nuts are then dried and powdered with talc or kaolin to whiten the shells. Excess talc/kaolin is shaken from the peanut shells.